16oz. Spoon Bistro Mugs with Chocolate Mocha color inside and includes a matching spoon that is slotted in each handle. For Left-handed (south paw) folks, we incude the artwork on both sides of each mug. 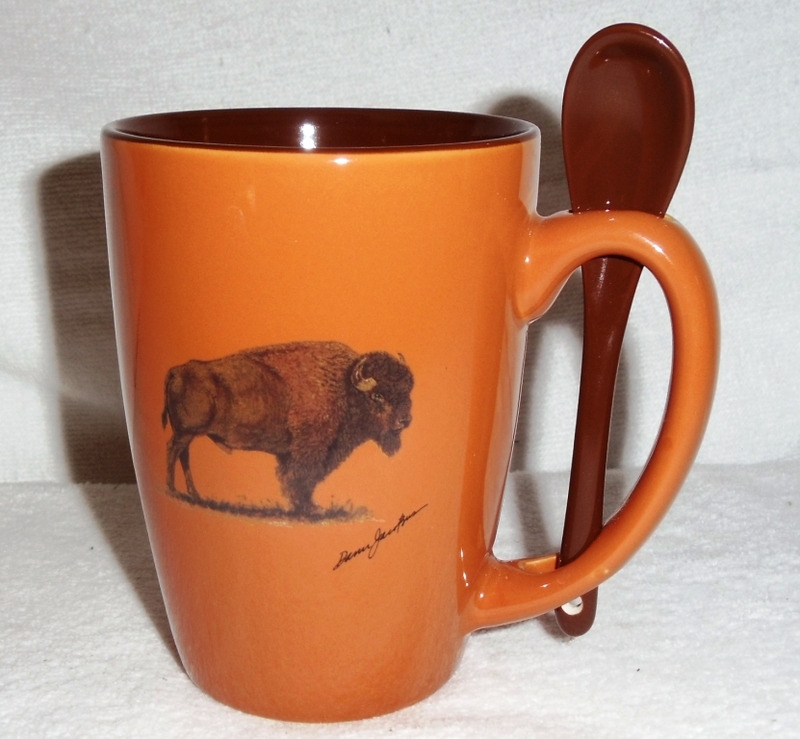 Decorated with the Buffalo, original artwork by Dann Jacobus on a Terracotta Rust mug.